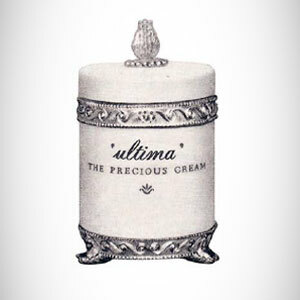 Contains Procollagen Essence of Ultima II, helps to reduce signs of aging. Also contains moisturizing ingredients and antioxidants. Contains Actiflow to reduce dark circles and puffiness under the eye. Use every morning and night after cleansing and toning. Apply on the eye area using the ring finger and massage gently. AQUA (WATER), BUTYLENE GLYCOL, SACCHAROMYCES CEREVISIAE EXTRACT, METHYLSILANOL, HYDROXYPROLINE ASPARTATE, GLYCERIN, SIMETHICONE, ETHYLHEXYL METHOXYCINNAMATE, DIETHYLAMINO HYDROXYBENZOYL HEXYL BEONZOATE, HYDROLYZED MALT EXTRACT, HYRDOLYZED COLLAGEN, SOLUBLE COLLAGEN, SUCCINOYL ATTELOCOLLAGEN, ASCORBYL GLUCOSIDE, TOCOPHERYL ACETATE, HYDROLYZED ELASTIN, SODIUM HYALURONATE, SODIUM PCA, CAFFEINE, HYDROLYZED BRASSICA NAPUS SEEDCAKE EXTRACT, MACROCYSTIS PYRIFERA (KELP) EXTRACT, HYDROLYZED VEGETABLE PROTEIN, PELARGONIUM GRAVEOLENS (GERANIUM) OIL, TREHALOSE, UREA, PVP, BISABOLOL, PPG-26 BUTETH-26, HEXYLENE GLYCOL, POLYQUATERNIUM-51, CAPRYLYL GLYCOL, 1,2-HEXANEDIOL, PEG-40 HYDROGENATED CASTOR OIL, SCLEROTIUM GUM, DIPROPYLENE GLYCOL, BORON NITRIDE, TRIACETIN, XANTHAN GUM, TROMETHAMINE, POTASSIUM PHOSPATE, DISODIUM PHOSPATE, DISODIUM EDTA, DIPOTASSIUM EDTA, PHENOXYETHANOL, CHLORPHENESIN, POTASSIUM SORBATE, SORBIC ACID, BENZOIC ACID, SALICYLIC ACID, SODIUM METHYLPARABEN, SODIUM BENZOATE, METHYLPARABEN, PROPYLPARABEN, CI 16035, CI 19140.